Disclosure: This post is in partnership with Bernzomatic. Content and opinions are my own. It's blowing my mind that we are already a month away from Thanksgiving! I'm always excited to start planning my holiday menus and think about creative ways to make the upcoming season different from the last. 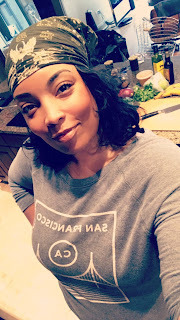 This year, I plan on incorporating some of the unique gadgets and culinary equipment that I've been able to play with lately. When it comes to holiday cooking, I find that more people are looking for ways to put those extra special touches on their food. Today's post is right up that alley. 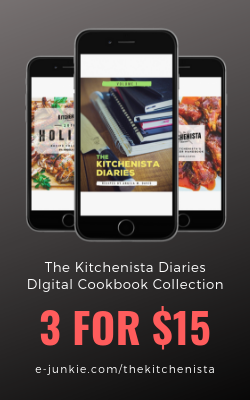 I've recently partnered with Bernzomatic to utilize their line of torches and of course share those creations with you! 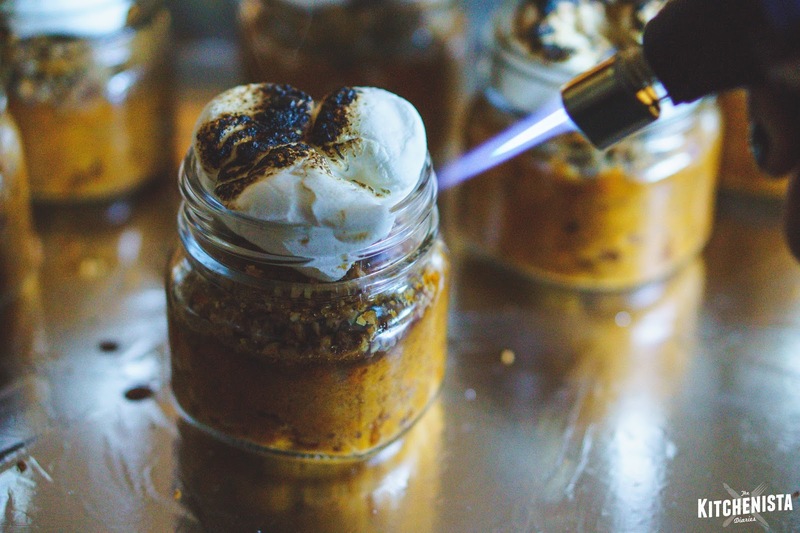 You may have seen chefs use torches in the kitchen to finish off crème brûlée, but there are so many more applications! I have some really cool ideas for ways to enhance my dishes with torches, starting with a fun recipe for the holiday season. 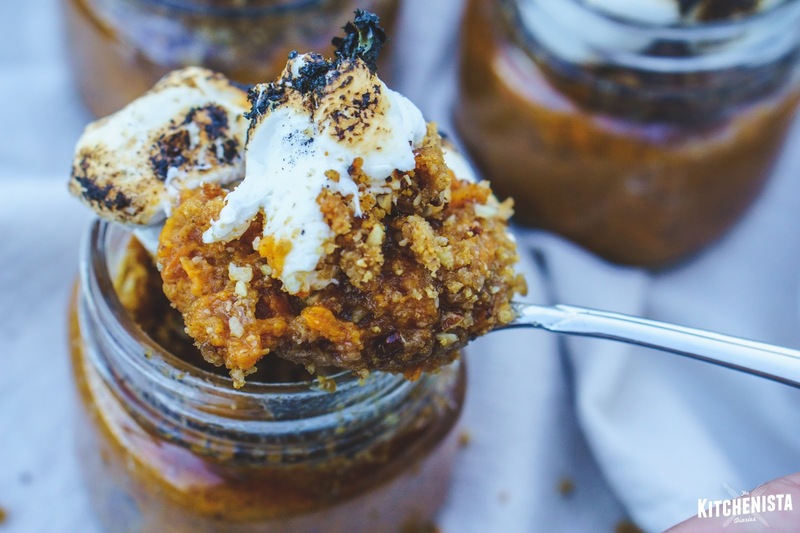 The classic Thanksgiving combination of sweet potato and marshmallow is one I’ve always found better suited for a dessert than a side dish. Starting with that idea, I reworked the original casserole to include elements from a sweet potato pie and s'mores. 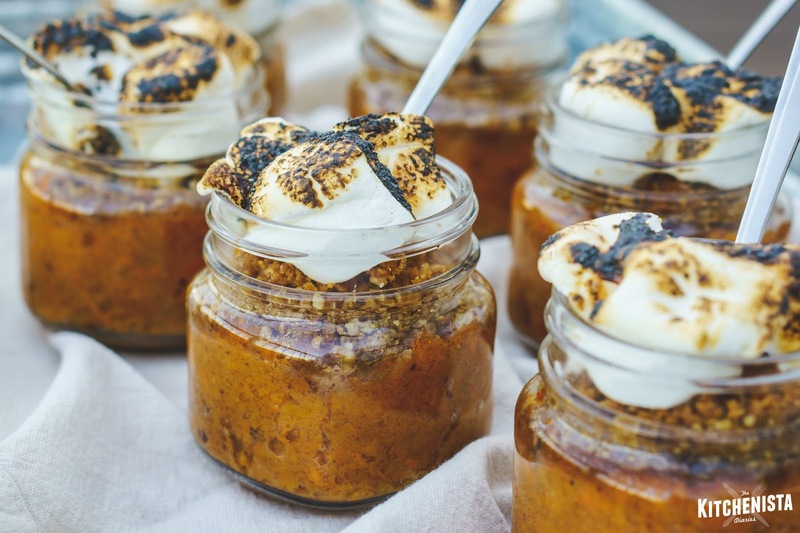 In my version, cinnamon laced roasted sweet potato mash, crumbled graham crackers and pecans are topped off with gooey torched marshmallows for a show stopping finish. Bake and serve in small ramekins or mason jars for individually portioned desserts that will be perfect for your next holiday gathering. Breaking out the Bernzomatic ST2200T will allow you to get a precise amount of char on the marshmallows compared to broiling in an oven, not to mention it makes a pretty cool party trick at the table! Check out the Bernzomatic ST2200T in action in this quick video tutorial, below! Continue on for the full recipe post. 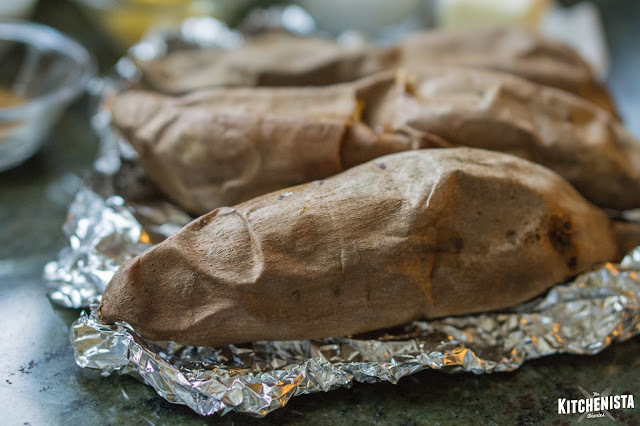 Scrub sweet potatoes and place on a lined baking sheet. Roast at 375°F for 1 hour, or until fork tender. Cool until safe to handle, then peel. 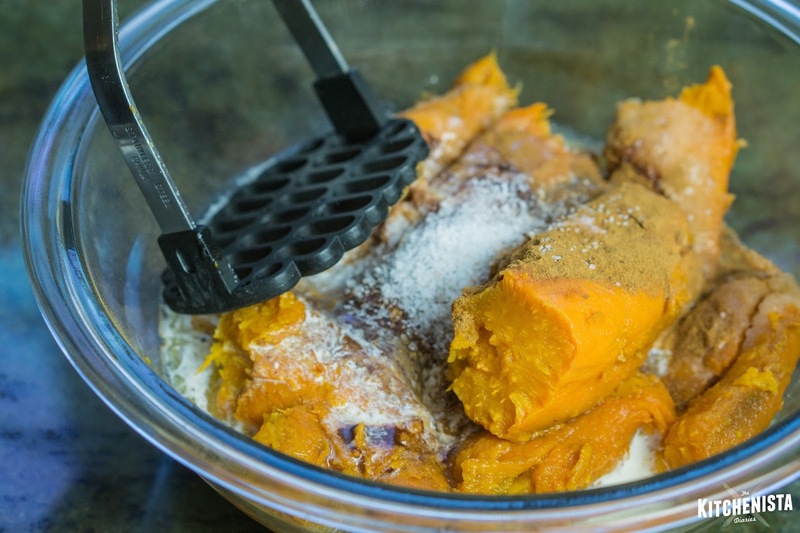 Measure 3 cups cooked sweet potatoes into a large bowl. Add ¼ cup butter, granulated sugar, salt, cinnamon, nutmeg, egg and heavy cream. Mash until butter is melted and all ingredients are thoroughly mixed. It’s okay if the mixture is slightly lumpy. 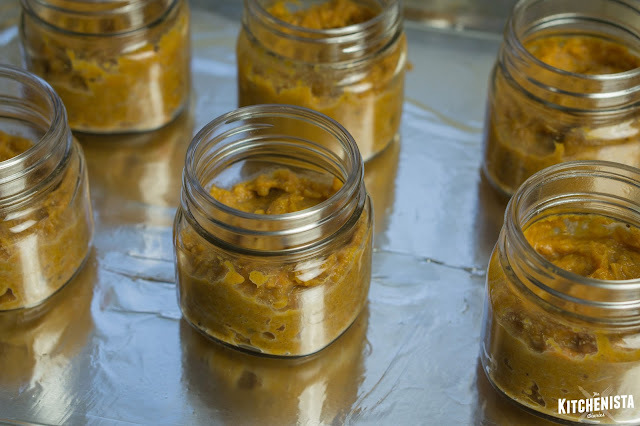 Divide the sweet potato filling between six small mason jars or ramekins, arranged on a baking sheet. 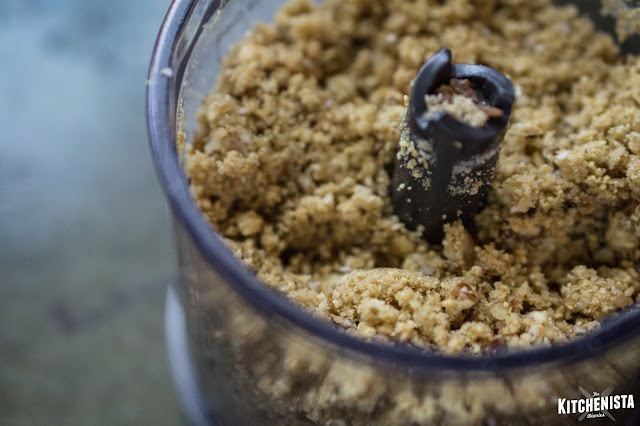 To make the crumble topping, combine crushed graham crackers, pecans and brown sugar in a food processor. Add remaining butter, diced into cubes. Pulse a few times until the mixture resembles clumped wet sand. If you don’t have a food processor, you can combine the ingredients in a small bowl and cut the butter in with your fingers until thoroughly incorporated. 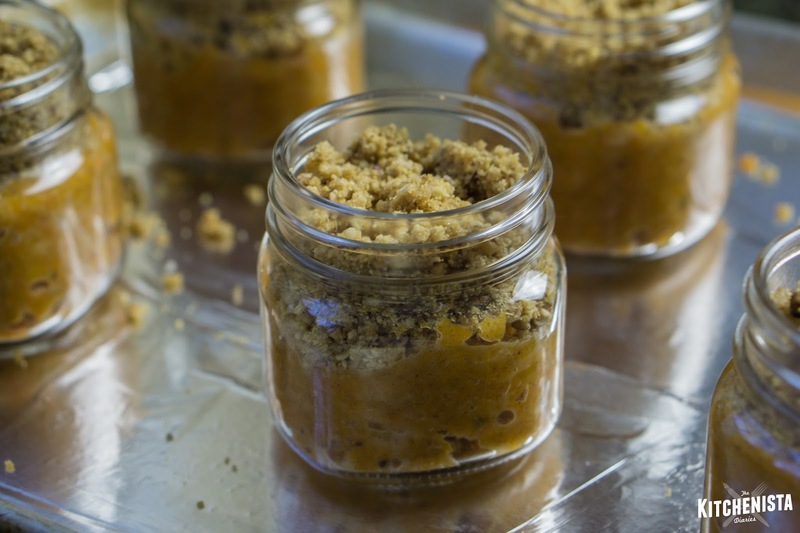 Pack about 1” crumble into each mason jar, topping the mashed sweet potato mixture. Bake at 350°F for 20 minutes. 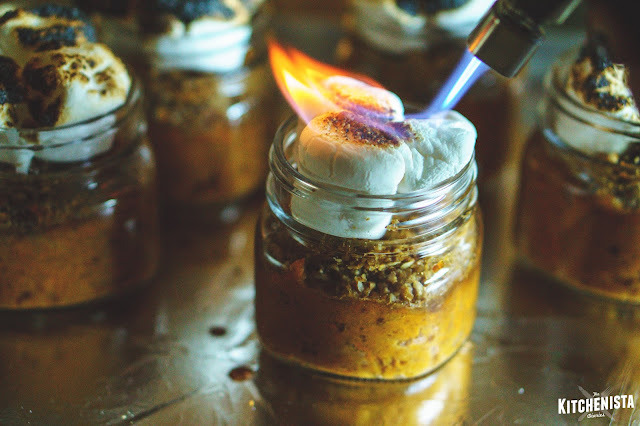 Top each mason jar with three marshmallows. Bake for another five minutes, or just until marshmallows soften and start to melt. They will still look whole, but if you touch them you should be able to tell that they've softened inside. To finish, use the Bernzomatic ST2200T torch and apply flame to the tops and sides of the marshmallow topping. The marshmallow will char and bubble up quickly; remember it is already melted on the inside from the time in the oven. Fan any flames out as they happen. 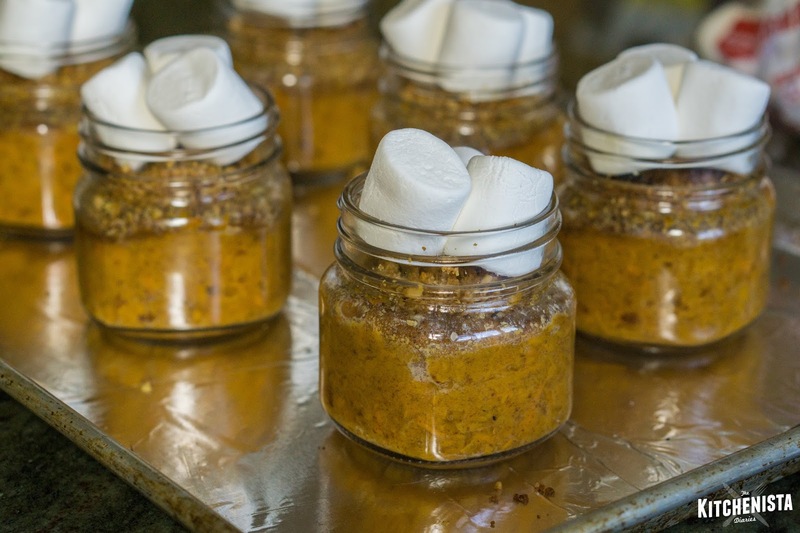 Once you’ve achieved the desired amount of blackening, insert spoons into each mason jar and serve immediately! Do Ahead Instructions: To prep the sweet potato crumbles ahead of time, both the filling and crumble can be prepared in advance and chilled in separate containers. Assemble and bake just before serving. Alternatively, the jars can be assembled and baked for 20 minutes. Rewarm in the oven just before serving, adding the marshmallows at the end as described. 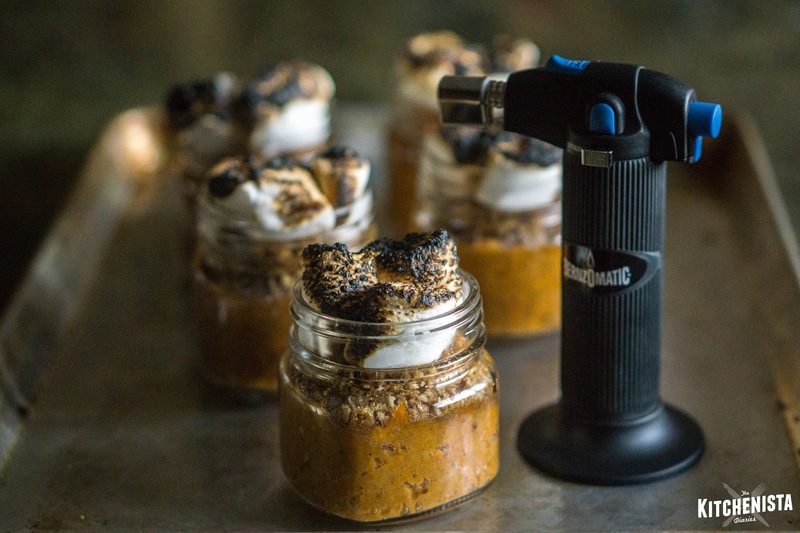 Please visit Bernzomatic to learn about their complete line of torches and check out their gallery of project ideas!